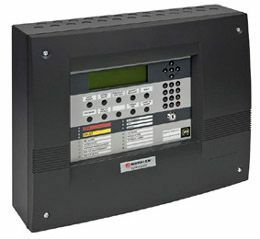 The Notifier 020-644-009 is a printer kit designed for use with the Notifier ID3000 fire alarm control panel. The printer option on the panel is a ideal for printing out a hard copy of the events on the fire alarm system. The Notifier 020-644-009 Printer option is great for both End Users and Fire Alarm System engineers as hard copies can be kept of commissioning, maintenance and weekly testing events. When used with the Notifier ID3000 Panel this printer kit is designed to be mounted on an extension chassis. The extension chassis is designed to be installed into an extended backbok which is specially designed to accomodate an extension chassis. The Notifier 020-644-009 Printer Kit is also compatible with the Notifier ID2000, ID61 and ID62 Control Panels. If you’re interested in the Notifier 020-644-009 Printer Kit you may also be interested in our fire alarms range and Notifier Fire Alarm Systems selection.